But many people managed to make a living on it: Getting unique content and then earning from ads. Today this tactic isn't working and, more importantly, it's risky (and useless). Google is chasing and punishing any tactics that focus on shortcuts. If your site is made for ads and filled with nothing but thin guest posts, chances are, Google will disqualify you. We live in the era when quality is harder to fake; when search engines evaluate user engagement and user experience; when value is rewarded. And guest posting is highly effective for that! Imagine taking over a talented blogger to your site who will breathe some fresh air into it, write some cool content with fresh insight and bring in his/her community to engage with your blog. Searching for people like this is what makes guest blogging effort worth it. As a guest post publisher, you need to focus on an excited expert or mini-celebrity who'll help you share his/her article hosted on your blog. Of course, for that talented person to be interested in your blog, it must be nice-looking, interesting and valuable. That's how guest blogging is supposed to be helping to make the web better. That's why guest blogging is the most social content marketing tactic: You build contacts through placing or writing great content! A guest post isn't a completed task when you push "Publish" button: It's a huge work of sharing, giving your writers more exposure, following up with them, inviting them back to your site and figuring out more ways to collaborate with your community of guest contributors. It's the only way to make it work! 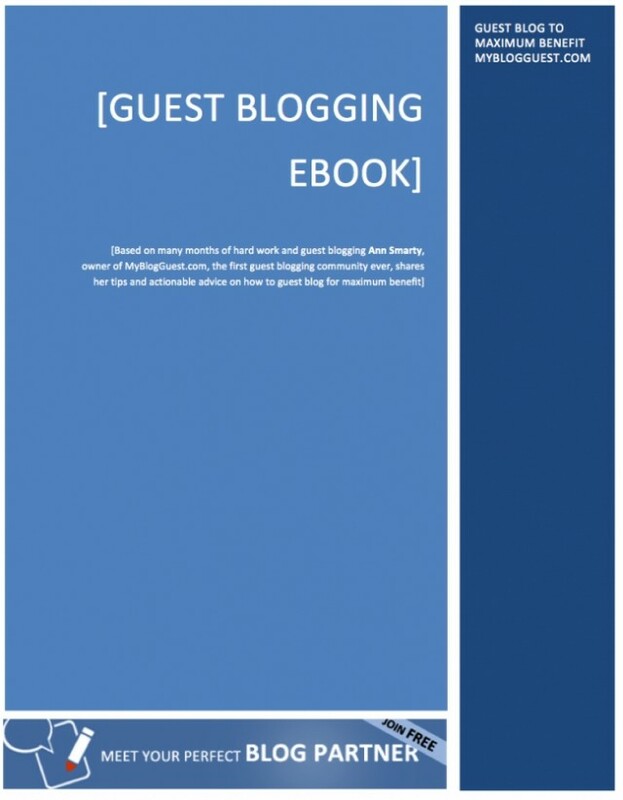 That's what I am explaining in my book: The real value of guest blogging you don't want to be missed! About the author: I am Ann Smarty, owner of MyBlogGuest.com. 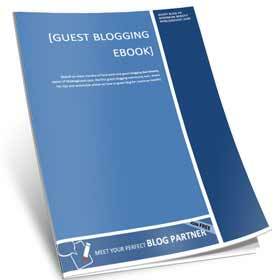 I wrote the guest blogging eBook which is a collection of my tutorials and case studies.